As a graduate of the University of Toronto's combined MD/PhD program, Dr. Cowan received his PhD research training at the Hospital for Sick Children, studying the role of the immune system in wound healing and disease. He has also obtained a Master of Science degree from the University of Toronto where he studied regenerative tissue healing. Following his medical training, Dr Cowan completed his residency training in plastic surgery at the University of Calgary. In 2004, Dr Cowan was certified as a specialist in plastic surgery by the Royal College of Physicians and Surgeons of Canada. He completed fellowship training in Mohs Micrographic Surgery at the University of British Columbia in 2005 and became the very first plastic surgeon in Canada to be certified to perform Mohs Micrographic Surgery by the American College of Mohs Micrographic Surgery and Cutaneous Oncology. Dr Cowan is currently a Clinical Instructor appointed to the University of British Columbia's Department of Dermatology and Skin Science and Division of Plastic Surgery. He is an active member of the American College of Mohs Micrographic Surgery and Cutaneous Oncology. Dr. Cowan is active in the advancement of plastic surgery and Mohs micrographic surgery. 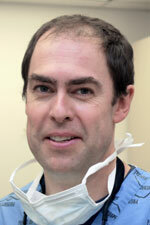 He is a surgical team member at the Skin Care and actively involved in teaching his specialty.